'68005', Embsay, 16 December 2006. 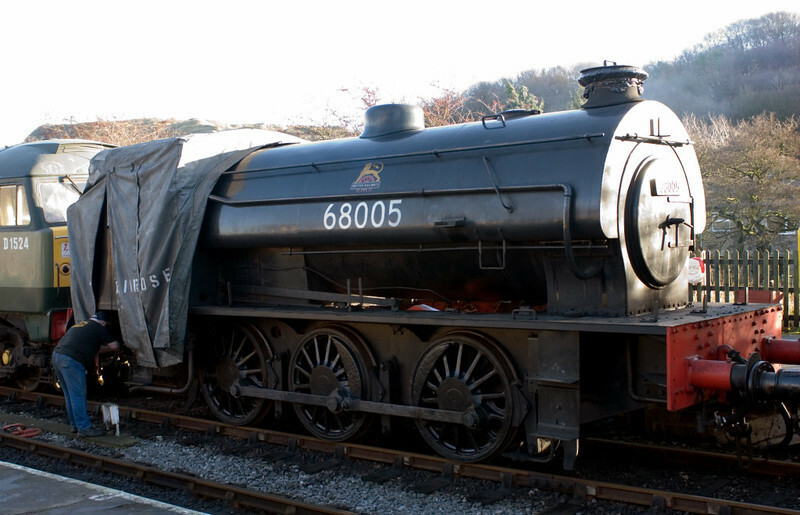 '68005' is an imposter having spent its life in industrial service. Although it is another Austerity 0-6-0ST, it was not built by Hunslet but by Robert Stephenson & Hawthorn (No 7169 / 1945).